Time to shake hands, laugh about all the good times of the past decade, the good-natured ribbing and finally agree that Lionel Messi was better than Cristiano Ronaldo all along. The end game to this particular infinity war arose on Tuesday over in the Old Continent with Cristiano Ronaldo only managing to score the single goal for Juventus which was insufficient to keep his team in the Champions League against a sprightly Ajax. Messi managed one-and-a-half against Manchester United, to see Barcelona through to the semifinals. In fact, it will be the first time that Ronaldo has not appeared in the final four of the competition for almost a decade as it will be Ajax that takes on either Tottenham or Manchester City. Unsurprisingly, this has caused quite the hoo-ha in Turin with Juve's share price immediately falling by 24 percent before rallying a little on Wednesday morning. Juventus boss, Max Allegri, had a plethora of excuses after the game from the squad being too old, too slow, too young, too injured and too struck down with fear of the occasion. Allegri also confirmed that he had no intention of leaving Juventus at the end of the season. The challenge of getting CR7 back into the Messi v Ronaldo game awaits. Wednesday will see who plays Ajax and Barcelona in the Champions League semifinals. 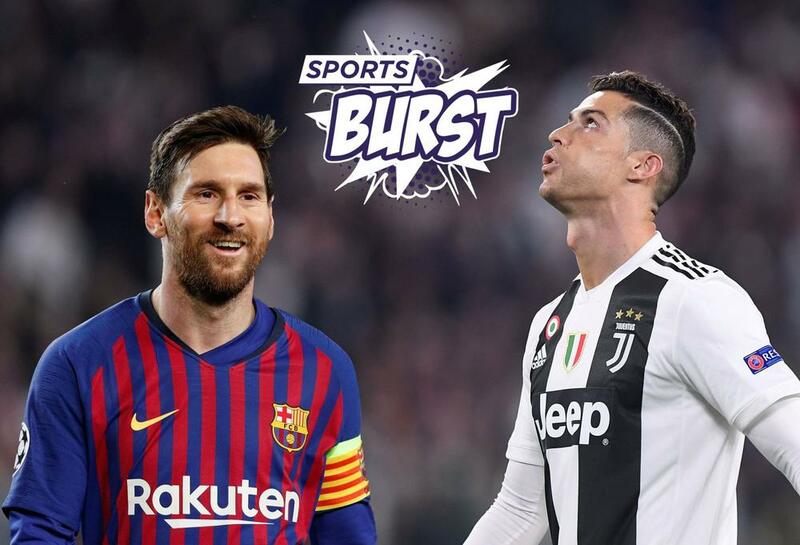 Sports Burst had a sense that a shock was in the air for Juventus and it has an inkling that Manchester City might suffer a tumble as well. Spurs are going into the Etihad with a 1-0 advantage and despite the absence of Harry Kane, have more than enough to set up a geek-fest against Ajax. Pep Guardiola has challenged the supporters to make sure that this does not happen. "I want to see if they want to get to the semifinals," noted Man City's main man. LIVE training from the Etihad Stadium! Liverpool is expected to move past Porto after picking up a 2-0 advantage in Anfield, however, the Portuguese outfit can be more than sprightly on their day. The Sports Burst live show will pick through the big stories from yesterday and make some bold predictions for Wednesday's action - with your help as well. Just head to the beIN SPORTS USA Facebook page at 12PM ET / 9AM PT. Will it be third time lucky for PSG in Ligue 1 clinching crunch clash? PSG is back! And the side could be champions today! Again! This time! Really! Yep, it could be the third time lucky for the French side to clinch the Ligue 1 title after the previous efforts didn't exactly go to plan after stopping their own goal against Strasbourg to having their footballing booties handed to them by Lille. Nantes awaits with Thomas Tuchel denying - not unreasonably - that a team that can win the league title is not in crisis but is going through a "difficult phase." That phase might continue with quite a few big hitters out of action for the day's game against at Nantes including Angel di Maria, Edinson Cavani and Neymar. That clash is live on beIN SPORTS at 1PM ET / 10AM PT. And do keep an eye on some top Copa Sudamericana action across the network this evening.